Planning to drive through Northwest, Arkansas? Maybe you’ll be taking your teenager on a campus tour of the University of Arkansas in Fayetteville? 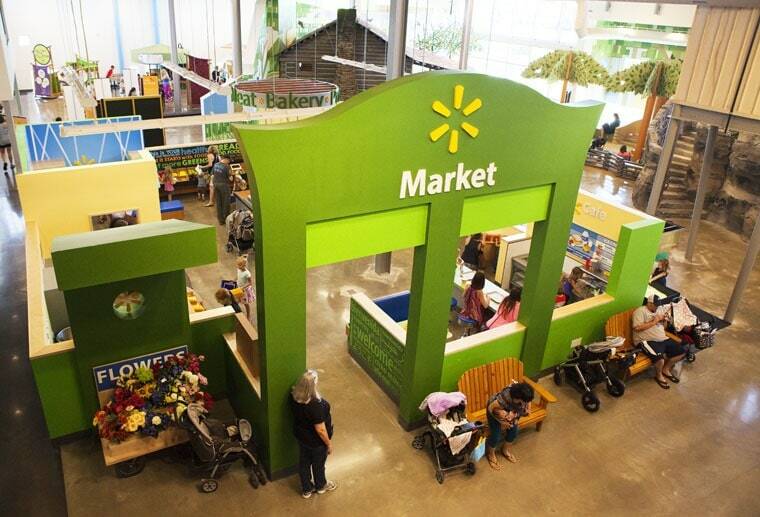 Or do you have a business meeting at the headquarters of Walmart in Bentonville, Arkansas this summer? Why not bring the whole family along for a family vacation! 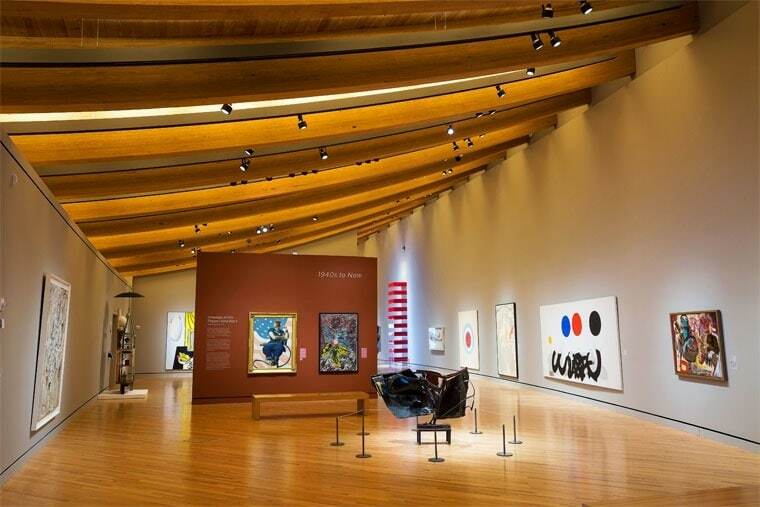 There are plenty of fun things to do with kids in Northwest, Arkansas – everything from museums, bike trails, fun shops, and terrific family friendly restaurants. Here are just a few of the fun family activities you can experience in Northwest Arkansas! 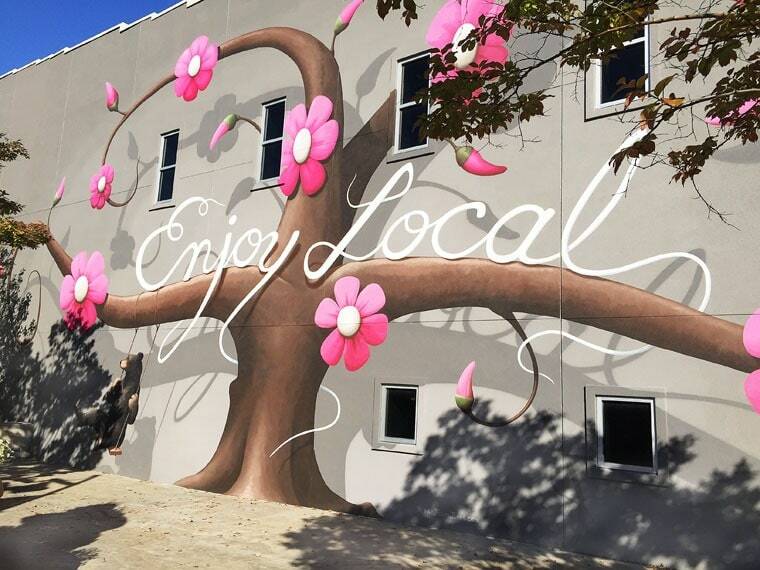 What is there to do in Bentonville? 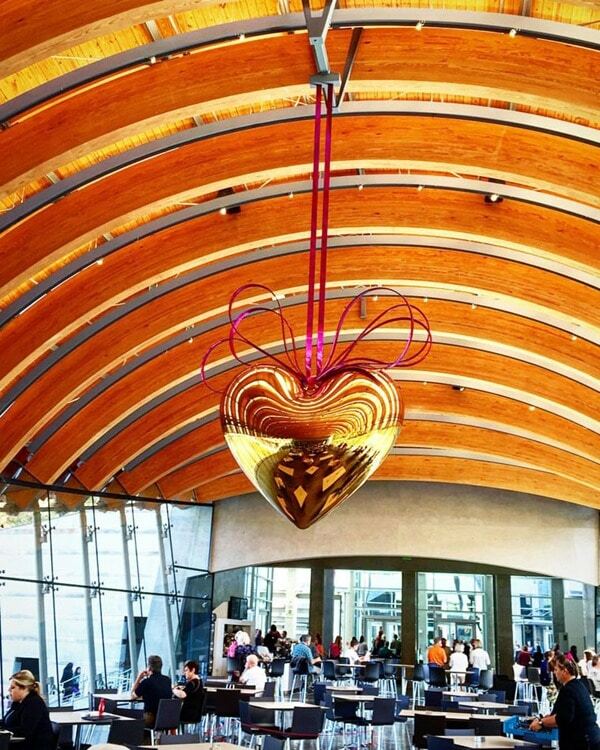 Crystal Bridges Museum of American Art is the crown jewel of Northwest Arkansas. 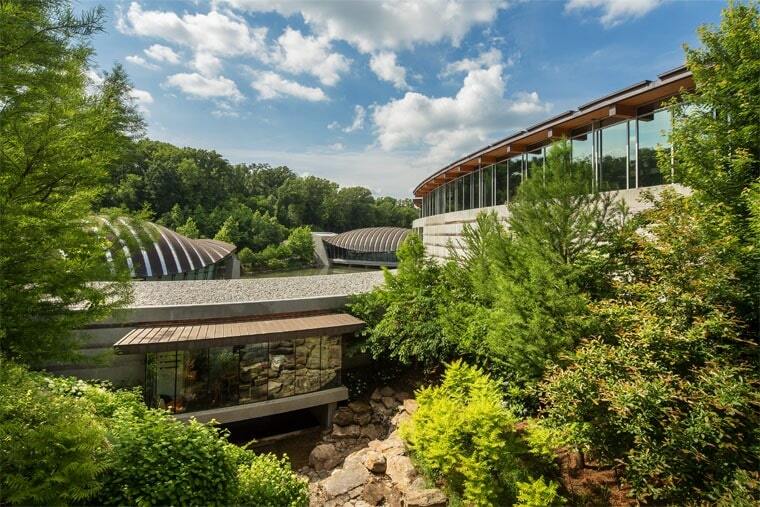 This stunning museum celebrates the American spirit in a setting that unites the majesty of nature with the power of art. This is done with a permanent collection of American masterworks spanning five decades and enhanced by ongoing temporary exhibitions. 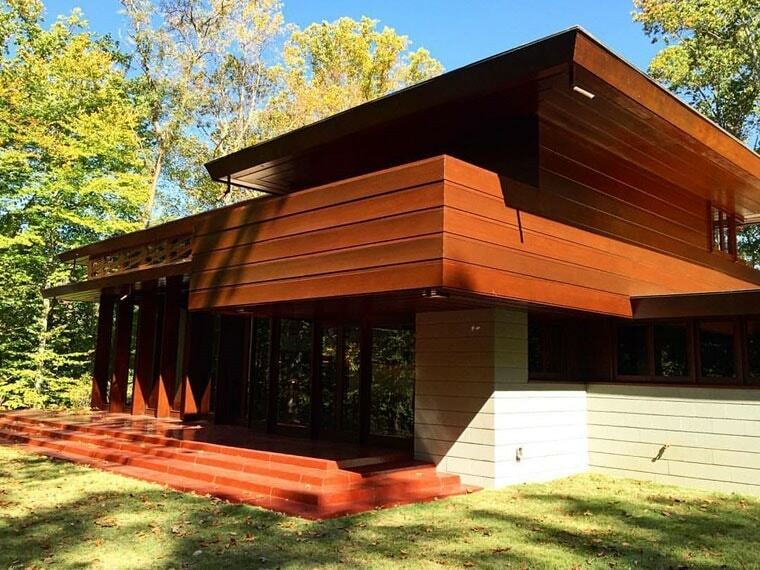 One of the newer additions to Crystal Bridges Museum of American Art is Frank Lloyd Wright’s Bachman-Wilson House. 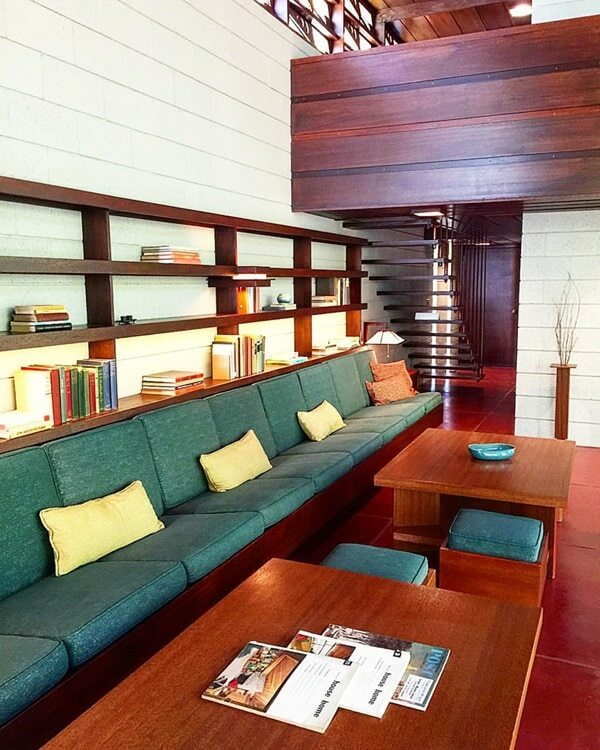 There is no extra cost to view the house, but advanced tickets are needed due to the small size of the house. Please check the website for visiting hours and information on ticketing. The Bachman-Wilson house was originally built in Millstone, New Jersey. The recent owners, architect/designer team Lawrence and Sharon Tarantino, restored the house, but decided it had to be moved due to the threat of flooding. They approached the Crystal Museum and the acquisition was finalized in 2014. Don’t forget to check out the Museum’s Eleven Restaurant for a pick me up coffee or a full meal. Eleven serves brunch, lunch, and dinner. Every Wednesday and Friday night from 5 to 7 p.m, you can enjoy “Culture Hour” before or after strolling through the galleries. It’s places like the Scott Family Amuzeum that make most grownups wish they were kids again. 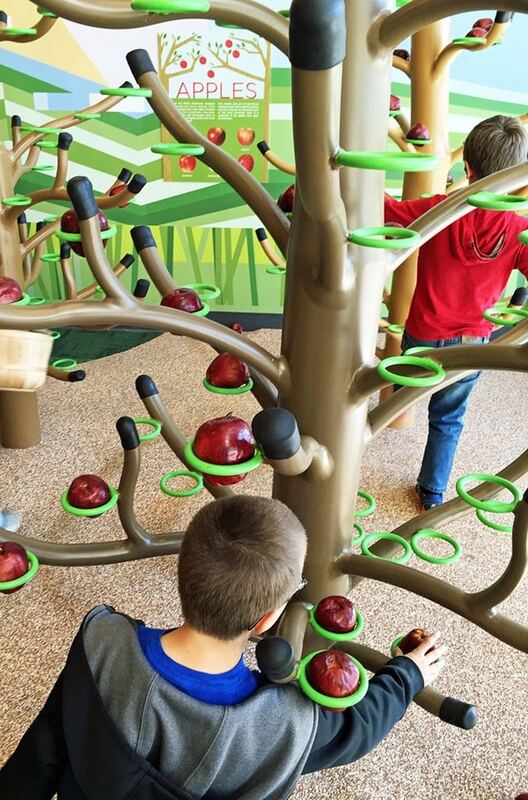 The exhibits are designed to promote imagination and creative thinking for children and families of all ages. 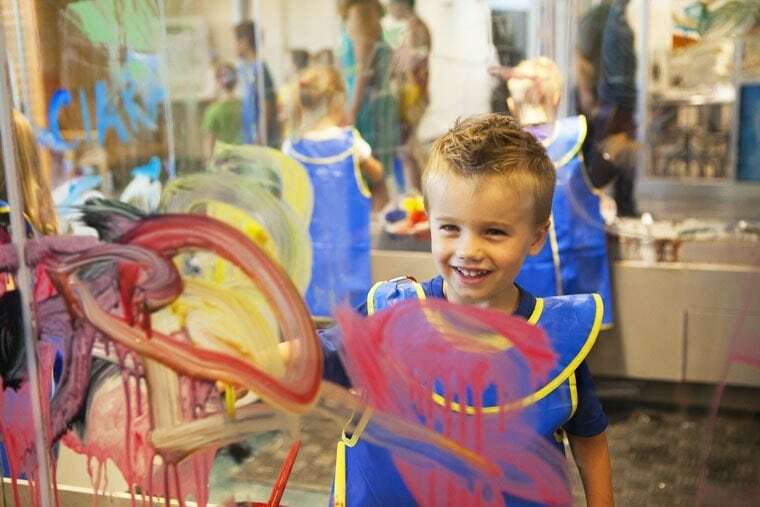 While there are spaces at the Amuzeum for toddlers, ages 2 and under, most of the museum is designed for children ages 4 to 9. For older elementary and middle school aged children, hands on lab areas like the 3M Tinkering Hub, the Art Studio, and Hershey's Lab offer deeper learning opportunities. Older children will also enjoy helping their younger siblings play in areas like the Neighborhood Market (sponsored by Walmart), the homestead cabin and farm, or the General Mills Lift, Load & Haul. In warmer weather, the one-acre Outdoor Playscape offers guests unstructured open-ended play experiences that encourage connections with with nature. There’s also a Curiosity Corner Store gift shop featuring quality learning toys and gifts. You can also grab a snack at the Zing Café though you can bring your own food and enjoy it in the dining area or outdoors in the picnic area in the warmer months. 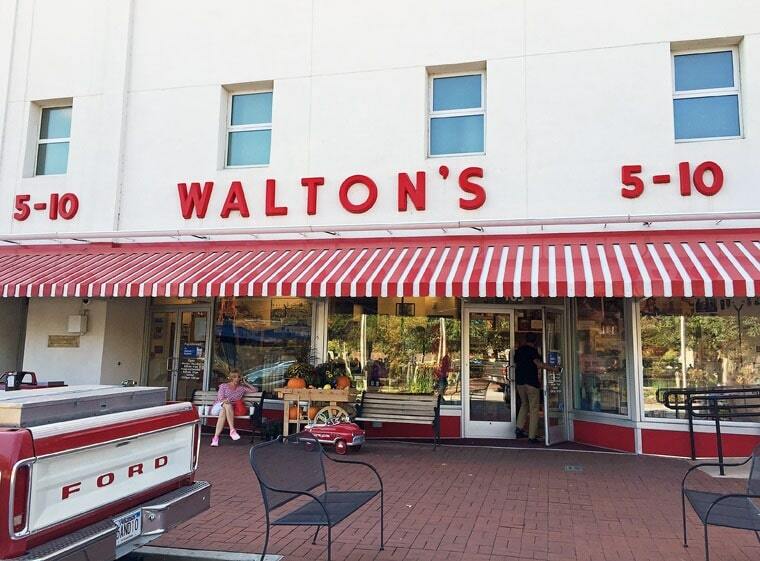 The Walmart Museum features Walton's 5&10, the original Walmart variety store. Then you can view an exhibit gallery on the history of Walmart in the museum. Its mission is to educate, engage, and inspire visitors about the heritage of Walmart. Finally, relax and enjoy an old fashioned ice cream treat at the Spark Café Soda Fountain. The Museum of Native American History features relics that date from over 14,000 years old to historic times. Everyday artifacts like pottery, tools, clothing, weapons, and more help you experience life through the eyes of the first people of the Americas. You’ll be amazed at the extensive display of arrowheads, darts, knives, and tools. However, it’s the museum’s collection of Mississippian, Caddo and Quapaw pottery that stands outs. The skill of the potters native to areas surrounding Northwest Arkansas in the time periods from A.D. 1200 to A.D. 1500 is astonishing. You can read more about these ancient styles of pottery on the museum’s website. What is there to do in Fayetteville? 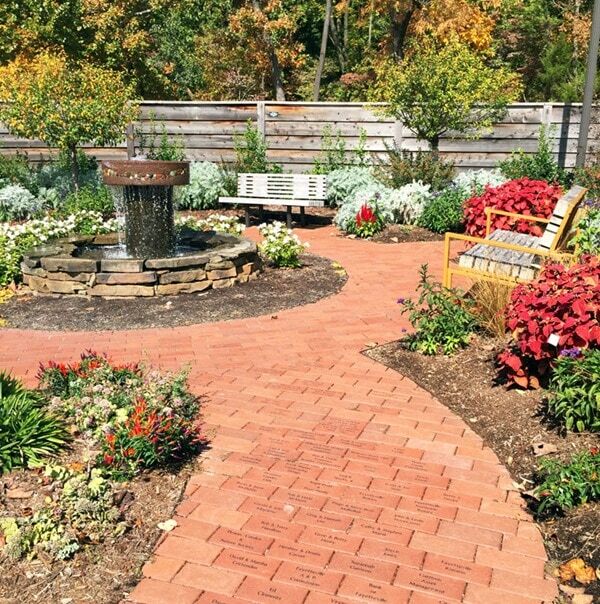 The Botanical Garden of the Ozarks is an community-based non profit botanical garden. The 40-acre site currently consists of six acres of display gardens and a 20-acre arboretum. 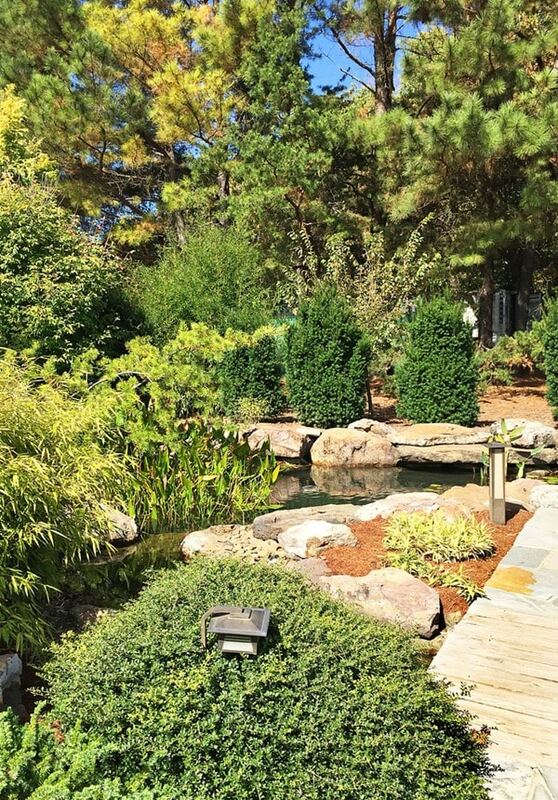 The Botanical Garden features 12 demonstration gardens to inspire the home and hobby gardener. They rely on small sponsors, donations, and volunteers to maintain the facility. 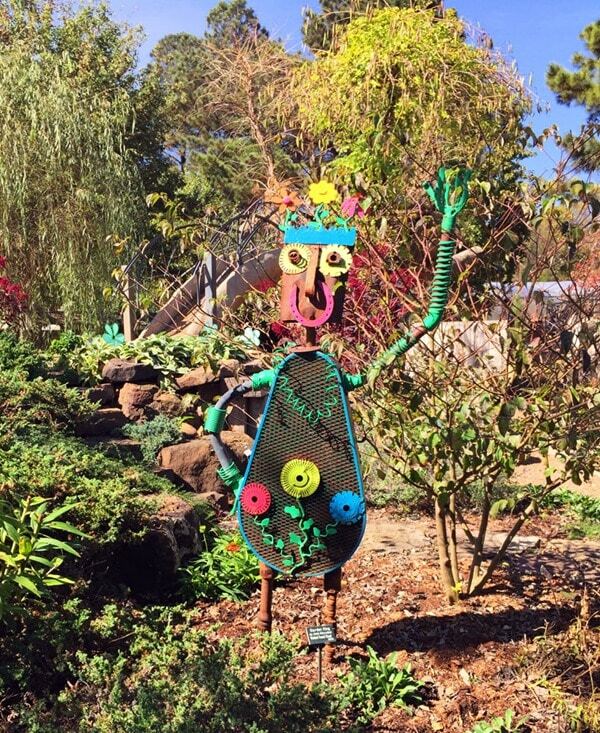 There is a Little Sprouts program for children to learn about gardening and a Children’s Garden to make the Botanical Gardens more interactive for young children. The water area is active during the summer and children can cool off under the sprinklers. There’s also a small butterfly house exhibit that’s also maintained by volunteers called “butterfly nannies.” The Botanical Garden of the Ozarks is very popular for weddings, concerts, birthday parties, and big tour groups and events in the warmer months. Trails surround the garden and lead out to Lake Fayetteville. Future plans are to create more buildings for inclement weather activities, events and education. The Fayetteville Underground art gallery serves as a showcase for regional art and artists with exhibitions changing monthly. The Underground also collaborates with local with local arts organizations to put on concerts, readings, performances, and other city wide events. The Underground also hosts classes, music, yoga, and other free events. Check out their calendar to see what’s currently going on. Posted in Travel and tagged Arkansas on January 15, 2016 by Anne-Marie Nichols.